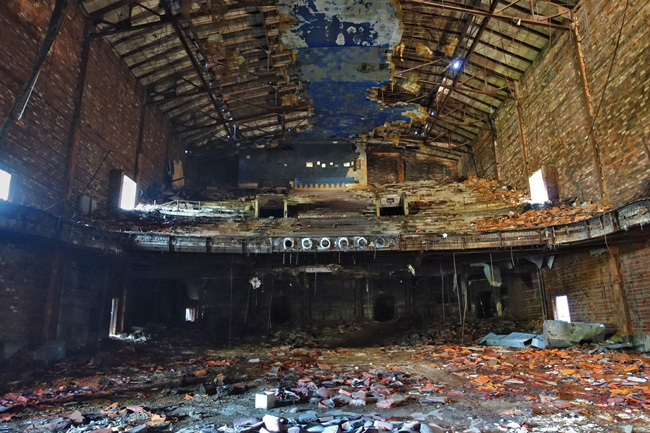 The Palace Theater, once a grand venue for motion pictures, vaudeville acts and stage plays, fell victim to Gary, Indiana's tragic decline. 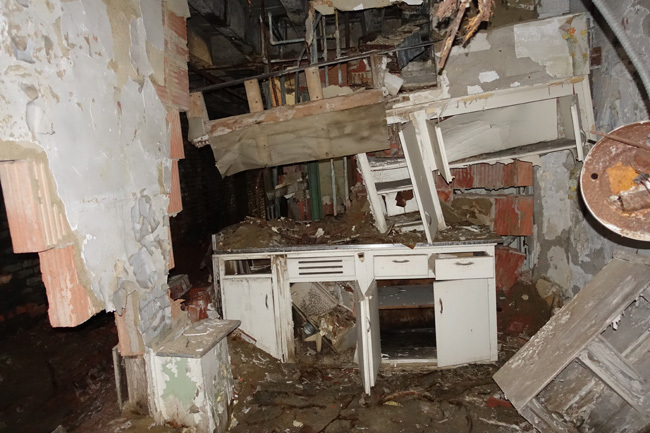 The ornate playhouse now stands abandoned and ravaged by scrappers and the elements. 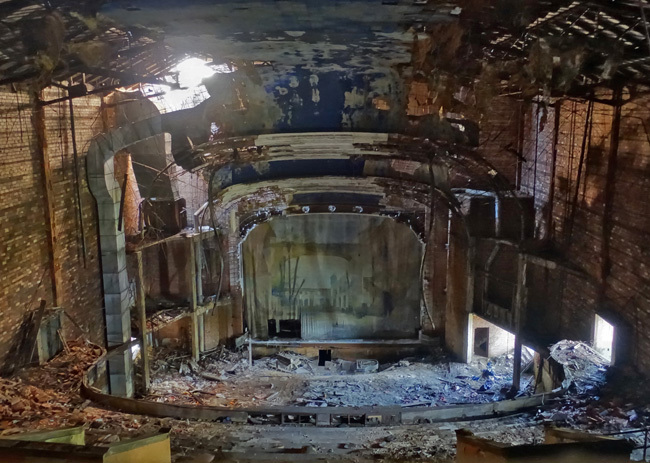 After exploring the ruins of Gary Public Schools Memorial Auditorium, I had one more stop before I'd leave Gary and continue east: The Palace Theater. At the time of my visit there were no fences or No Trespassing signs. 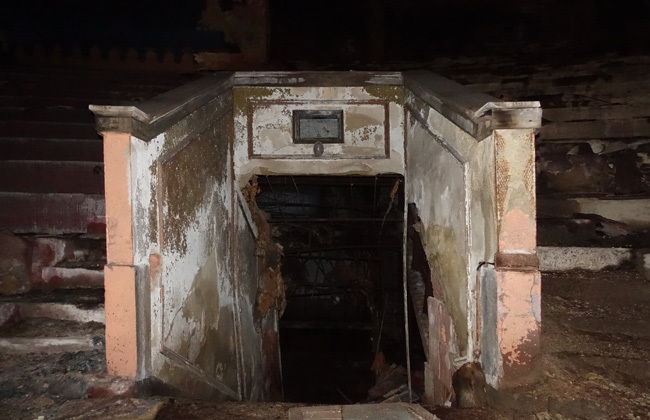 The entrances to the theater and backstage area stood wide open. 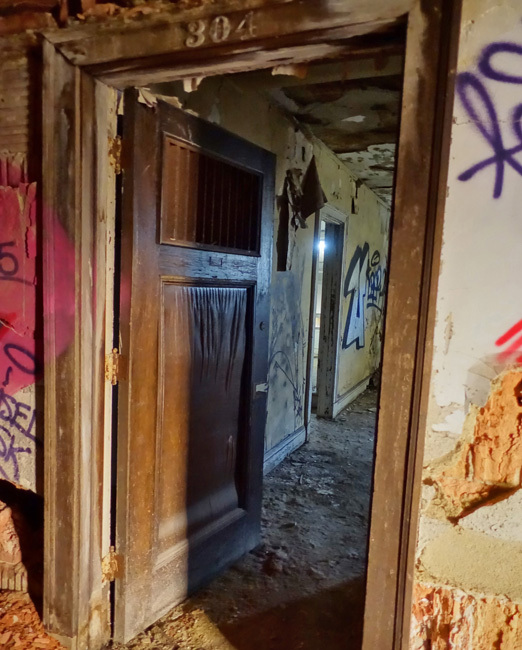 The interior was cavernous and pitch dark except for a little bit of daylight spilling in through the doorways and a hole in the roof. Still I was able to capture a few decent long exposure shots. 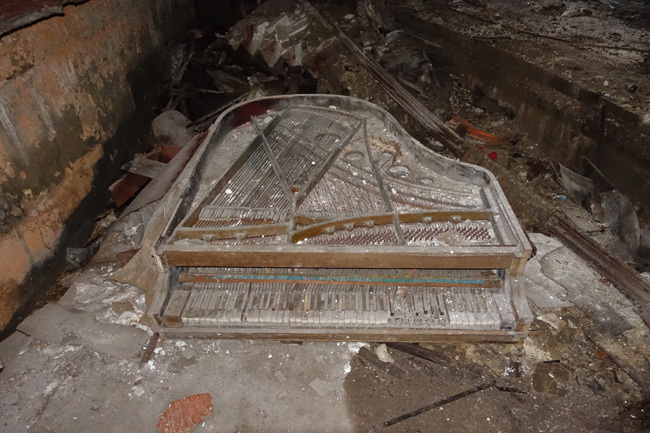 A piano remained in the orchestra pit, dusty and weathered. A tattered backdrop hung over the stage, a faded image of Morocco, left from the final production before the Palace Theater closed for good. 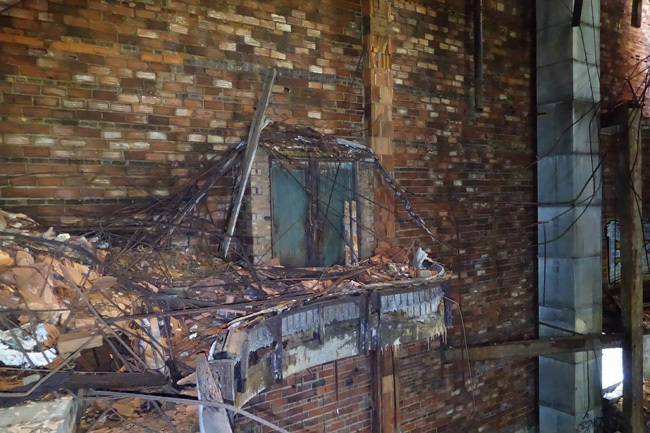 The audience seating had been destroyed over the years and lay in decaying chunks across the floor and balcony. 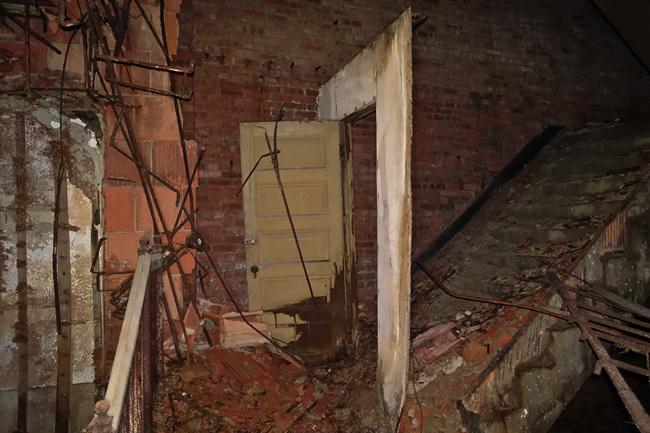 The balcony level has become unstable after decades of decay and the railings are gone, making it a hazardous place to venture in the dark. 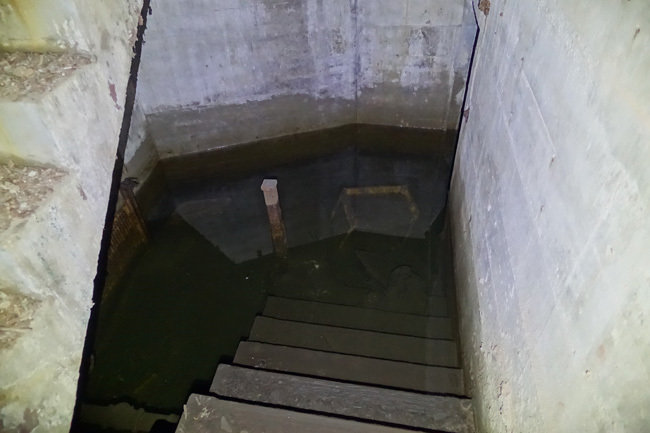 Toward the back of the building a set of stairs led down to a basement submerged in standing water. 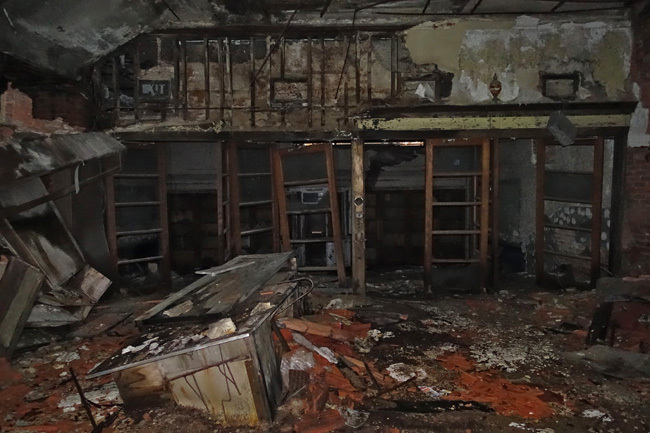 I climbed the staircase to the upper floor and was surprised to find that it housed apartments. Time has not been kind to them. 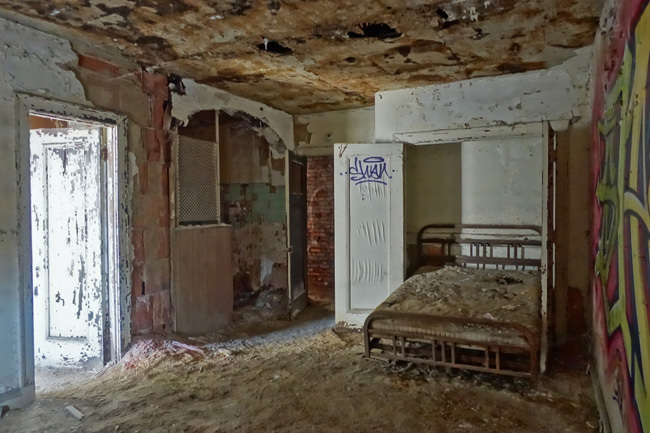 Most of the units were rather small and several used Murphy beds as a space saving technique. 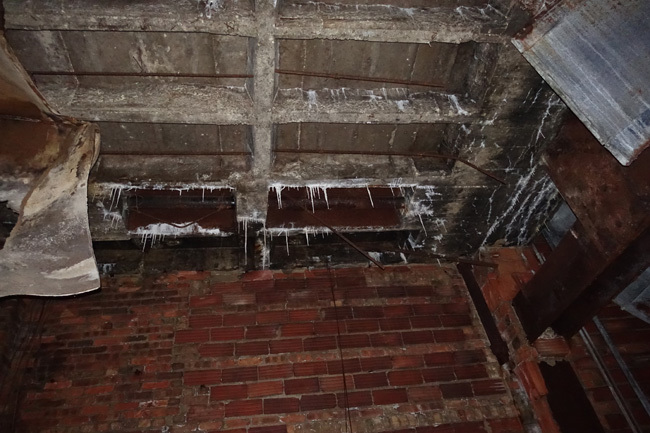 Mineral deposits hang from the ceiling of the upper level in tiny stalactites from years of flooding. 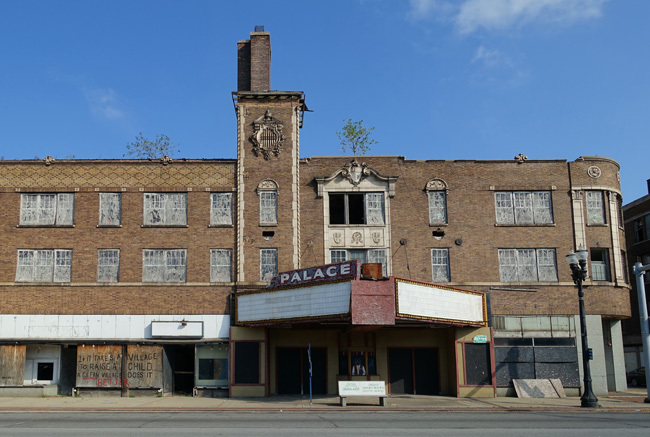 The Palace Theater was designed by architect John Eberson and built in 1925 in Gary, Indiana's Emerson neighborhood. It seated an audience of 3000 and featured live stage shows, vaudeville acts, and motion pictures. John Eberson was famous for creating atmospheric theaters, which became popular in the 1920s. Atmospheric theaters were designed to resemble European courtyards or gardens and to make the audience feel like they were immersed in the scene rather than observing it from afar. 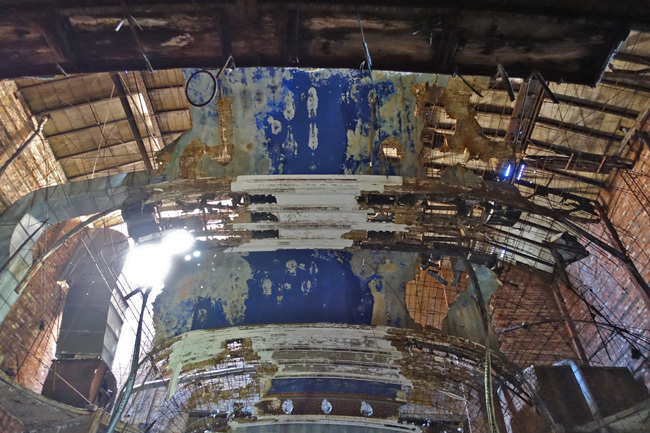 The curved ceiling of the movie palace was painted the dark blue of an evening sky and projectors cast wispy clouds onto it. Low-voltage chandeliers were meant to mimic starlight. Alcoves along the walls contained stuffed birds and statues that one might find in a Spanish courtyard. 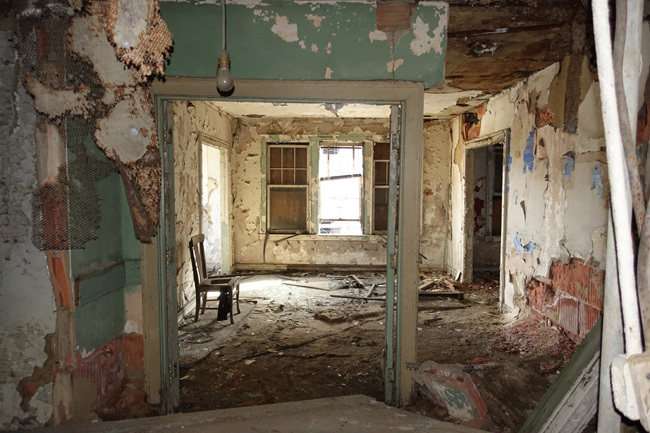 After US Steel drastically decreased its workforce in the '60s, the city of Gary, Indiana experienced severe economic decline and increased crime. Attacks and muggings became common in the area. In 1968, Aldrid Black, a high school sophomore was stabbed to death in the lobby of the Palace Theater. 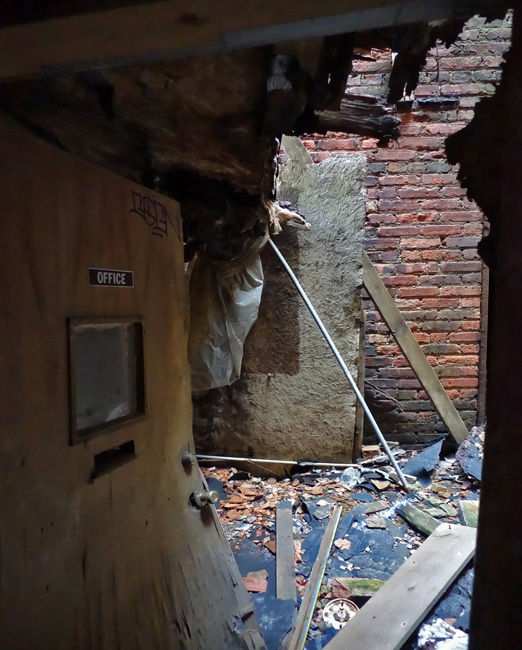 The venue quickly developed a reputation as a place of violence and drug dealing. It finally closed in 1972 after a young woman was attacked in the restroom. 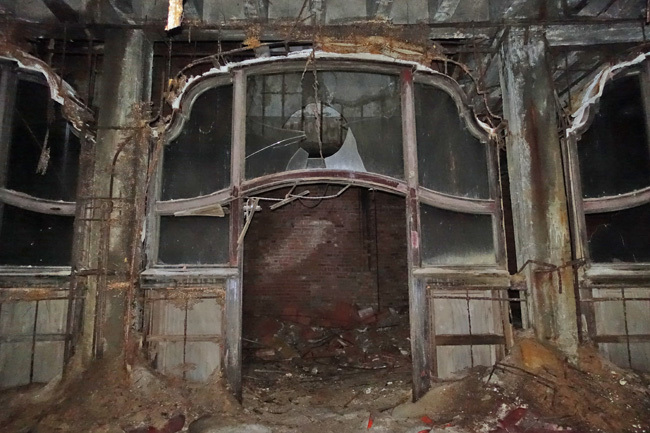 Several short-lived attempts to reopen the theater occurred in 1975 and 1976, but both failed due to financial difficulties. In 1987 a group of investors planned to renovate the Palace Theater and neighboring storefronts at a cost of $500,000, but the plan never came to fruition. 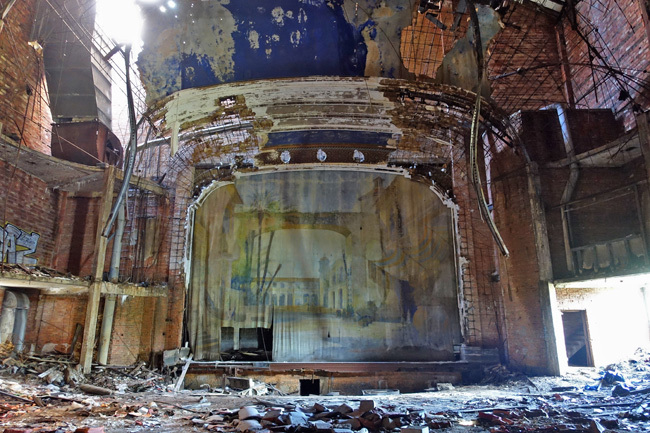 In 2002, when the Miss USA pageant was held in Gary, the theater's front windows were covered in plywood painted to create the illusion that it was still operational. The marquee out front announced "Jackson Five Tonite". The lettering remained for many years until it was gradually brought down by the wind. If you look closely at the marquee, you can still see the faint silhouettes of the letters against the white background. 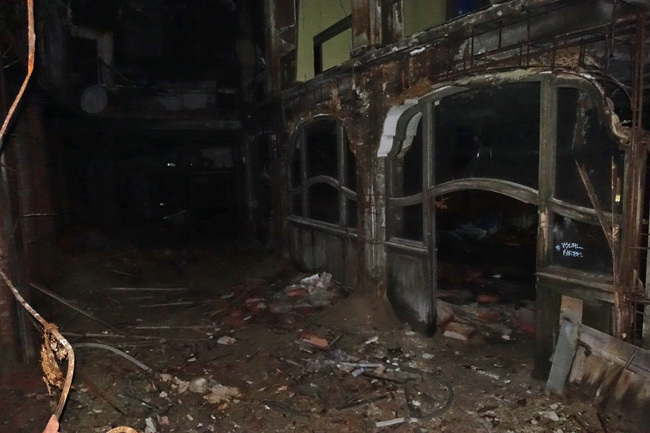 It is sad to see the once-exquisite movie palace in such an advanced state of decay and it seems unlikely that it will be renovated and reopened anytime soon. 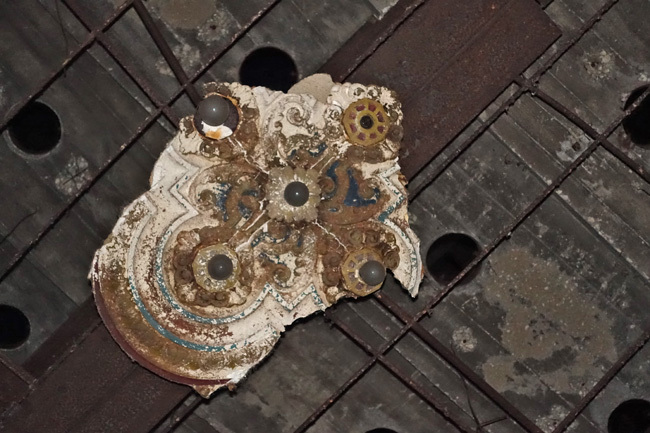 It would take a lot of work and funding to breathe new life into Palace Theater, and given the city's continuing decline, it would be a risky investment. 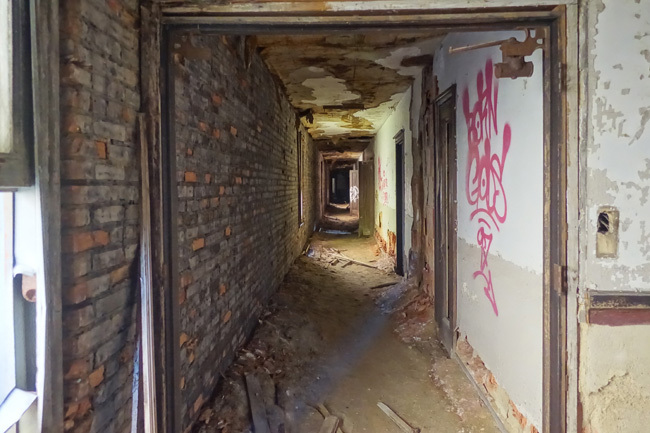 After exploring the Palace Theater, I said goodbye to Gary, Indiana and made my way to the sprawling ruins of Kingsbury Ordnance Plant, a World War II-era ammunition factory. I can't wait to tell you all about it in my next article. To receive an email announcement, please subscribe to Places That Were. Thank you for visiting. If you enjoyed this article, please share it on Facebook. Until next time, check out my previous posts about the incredible places I explored on my Epic Rust Belt Road Trip. Jim, you've done it again. Your historical research in conjunction with the narrative and pictures always make for an enlightnig guided tour and gives your readers a profound sense of being there with you. We always look forward to your articles. Thanks so much. Thank you, William! I'm glad you enjoyed the article!